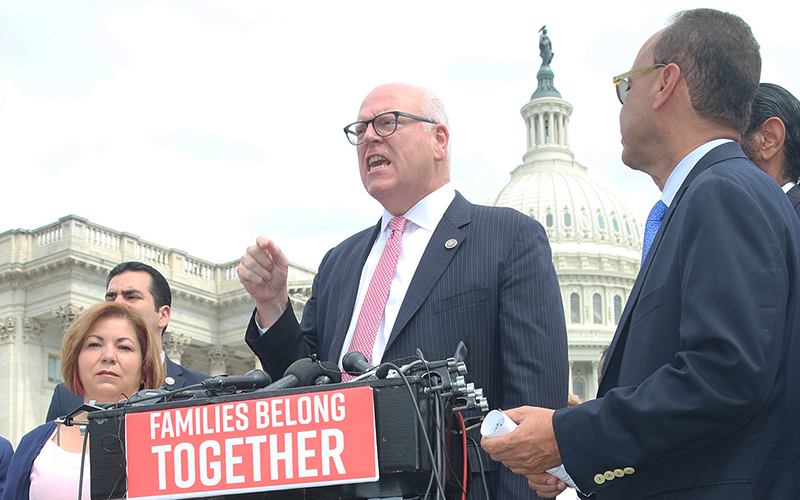 WASHINGTON – The House is poised to take action on two Republican immigration-reform bills, but it was not clear Wednesday if House leaders would be able to muster enough support to pass either. But those “far-right” Republicans did not appear to be on board with the compromise bill either, with the leader of the right-wing Freedom Caucus confronting Speaker Paul Ryan on the floor of the House Wednesday. “There are things that were supposed to be in the compromise bill that are not in the compromise bill that we had all agreed to,” said Rep. Mark Meadows, R-North Carolina, after what he described as a “passionate” argument with Ryan. Meadows, chairman of the 30-member caucus, said that the compromise bill was “not ready for primetime.” The caucus’ 30 votes would be enough to stop either bill from passing. Both bills would address the uncertain futures of DACA recipients, undocumented immigrants who were brought to this country illegally as children but protected from deportation under the Obama administration’s Deferred Action for Childhood Arrivals program. President Donald Trump moved to end the program this year, but courts have intervened. 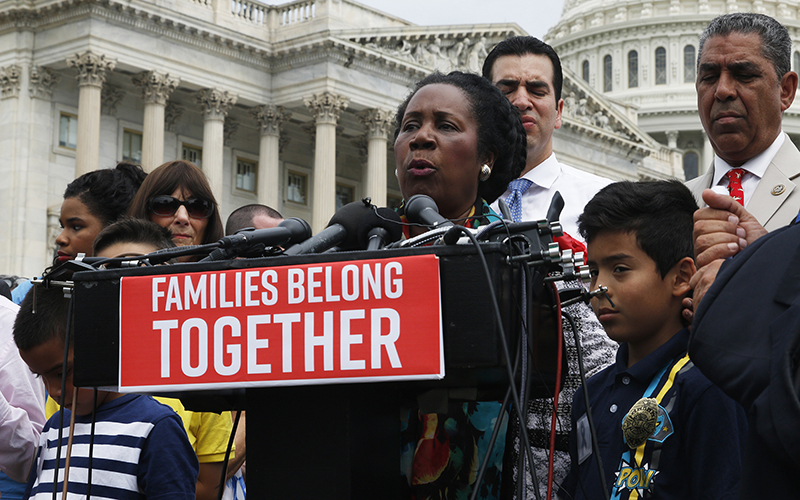 The bills would also end the policy of separating immigrant families at the border. Trump signed an executive order Wednesday stopping that practice, but called on Congress to find a permanent solution. The more conservative bill, sponsored by Rep. Bob Goodlatte, R-Virginia, calls for border wall funding and would stiffen immigration enforcement in the interior, curtail family immigration and eliminate the diversity visa program. Republicans agreed last week to advance the two bills in response to a bipartisan effort to force a vote on four immigration-reform measures from both sides of the aisle. That effort was just two signatures shy of the 218 needed before Ryan convinced his caucus to back the two GOP bills now being considered. That angered Democrats on the House Rules Committee, which was debating the bills Wednesday night. But Republicans on the committee defended the measures, saying they would secure the borders while still leaving the U.S. with some of the most liberal immigration laws in the world. And they said the bills the Democrats were backing would almost have certainly been vetoed by Trump if they passed.